How Might More Electric Vehicles Benefit Our Electric System? 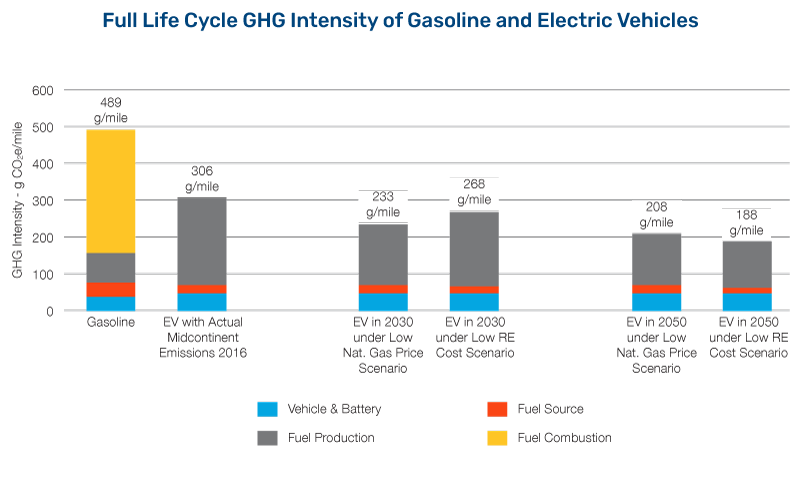 As electric vehicles become a bigger part of the transportation mix, they will also increase electricity demand and become a bigger part of the electricity system. It will matter what time of the day EVs are charged. 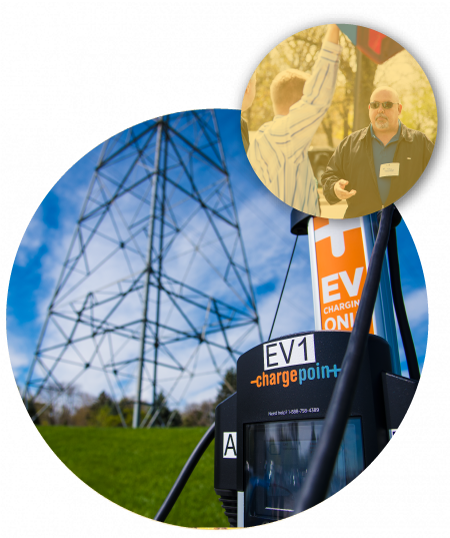 The road map analysis demonstrates the benefits of managing EV charging so that all or a significant part of the EV charging load occurs at a time when lower-cost and/or low-emission resources are available. In the Midcontinent region, this initially means the overnight time period when low-cost wind power is abundant and not always fully used at present. 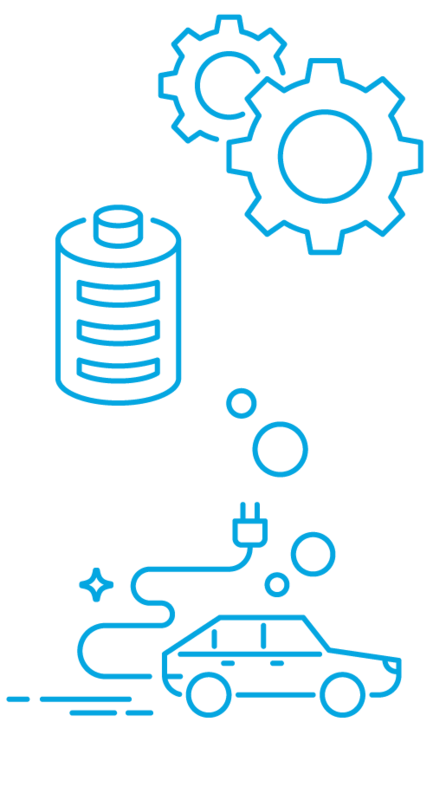 If state regulators and utilities can encourage EV owners to charge their vehicle overnight–such as through late night time of use electricity rates–this EV load can help optimize the electricity system by enabling use of important wind resources that will otherwise go underused. 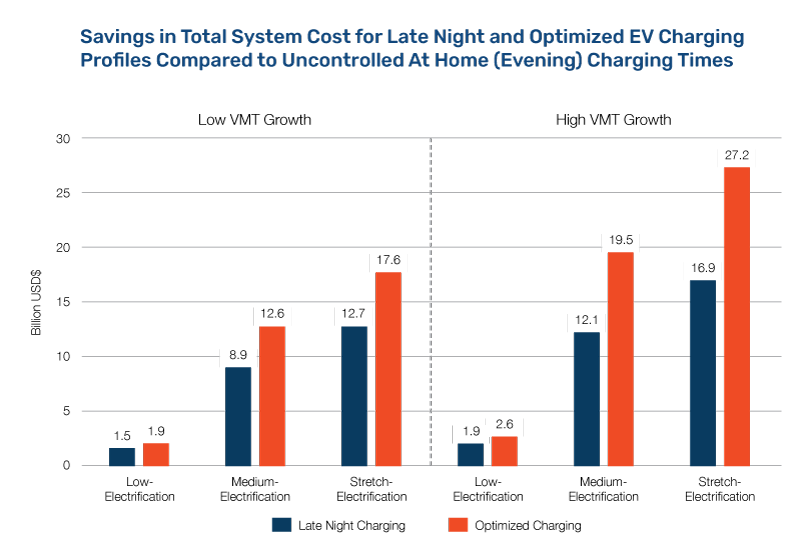 The road map analysis indicates that simple, late-night time of use rates could yield big benefits, and that real-time management of vehicle charging could allow for increased penetration of wind and solar on the system. The figure below shows the savings that could be realized through managed charging. Below is an interactive graph of the road map’s modeled summer energy mix for 2035 and 2050 under a number of selectable scenarios. You can see the actual mix of fuel sources for electricity over six time periods of the day. The buttons below let you choose the charging strategy (at home, late night, renewable energy optimized), the electrification level of transportation, and the economic scenario for gas and renewable prices. Modeling results and web tools provided by FACETS.